Dionne Warwick will be gracing Solaire Entertainment’s Valentine concert on Feb. 13 and 14, 2018 in one of the top luxury hotels in Manila today. PARANAQUE CITY, METRO MANILA, PHILIPPINES, January 16, 2018 /EINPresswire.com/ -- Every generation produces musical royalties whose name and voice will live on for years to come. For those who grew up in the 1960s to the 1990s, Dionne Warwick stands out as one of the greatest artists of their time. Warwick, named Marie Dionne Warrick in real life, was born on Dec. 12, 1940 in East Orange, New Jersey to a gospel music family. It’s no surprise, therefore, that Warwick’s earliest singing exposure was in a community church choir. She was aged six then. Later on, she continued performing as a gospel singer in the group she formed and called Gospelaires together with her sister Dee Dee, as well as her aunt Cissy Houston, mother to the late Whitney Houston. Her professional singing career peaked with the release of the song “Don’t Make Me Over” in 1962, as it went on the top 5 of the R&B charts and top 20 of the pop charts in the early part of 1963. 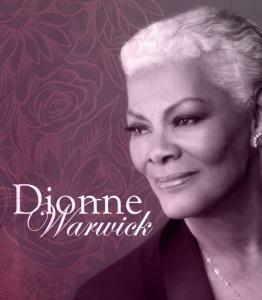 Her credentials for the hit record, however, were inadvertently spelled as Dionne Warwick, and that’s how she officially came to be known in the music industry. Warwick’s record-breaking streak continued with such singles as “Walk on By,” “I Say a Little Prayer,” “Do You Know the Way to San Jose,” and “I’ll Never Love This Way Again” – the song that was featured in her first platinum-selling album titled Dionne. Warwick was also part of the ensemble that sang the iconic “That’s What Friends Are For” in 1985, which resulted in her fifth Grammy Award. Indeed, Warwick’s musical achievements are hard to either forget or replace, most especially for her Filipino fans. So, in celebration of her legacy, Ms. Warwick will be gracing Solaire Entertainment’s Valentine concert on Feb. 13 and 14, 2018, right in the grand ballroom of Solaire Resort & Casino, one of the top luxury hotels in Manila today. For two nights, Warwick’s followers will be treated to a trip down memory lane as she performs her greatest hits with the same brand of heart and soul musicality she’s been known for. Tickets are being sold at www.ticketworld.com.ph or through phone 891-9999. Solaire Resort and Casino is the first integrated destination resort on a 8.3 hectare site in Manila’s Entertainment City. Set against the romantic sunsets of Manila Bay, Solaire boasts 800 luxurious resort-style accommodations in two distinctive towers, extensive dining options, impressive gaming facilities and state-of the art lyric theater that has changed the way people view resort casinos in Manila. Solaire offers unique experience of comfort, elegance and luxury, all underlined by the staff’s unparalleled warm Filipino hospitality. Solaire is also strategically located near major shopping centers, such as SM Mall of Asia, lifestyle hubs, and business districts. Visit their website at https://www.solaireresort.com/.